“In a city of concrete, a city stranger to green spaces, a city where sidewalks like roads have been carjacked, a city where a dark smog looms over daily, you’d figure, there’s more to rooftops than rooftop bars”. Quoting Sir Mark Sykes, on his last visit to Beirut. 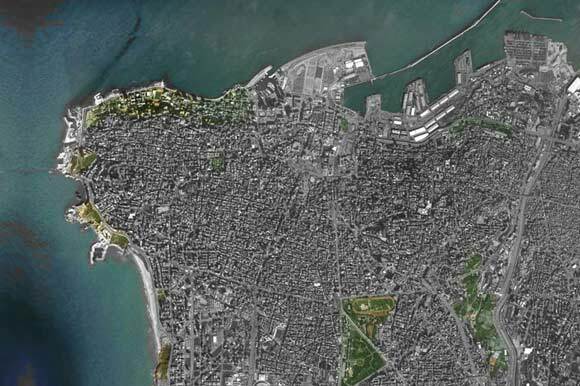 Beirut is a concrete and pollution mayhem. Ironically, the high pollution levels are not caused by the industries that we do not have, by the crippled political system, by armed militias or by foreign interferences, but instead, it is a problem from within the populace itself, which has proven throughout the years to be uncooperative and inconsiderate towards its surrounding, to the extent of rejecting the mere idea of replacing the Humvee with a smaller car, or the “blasphemy” of riding a bike to work. 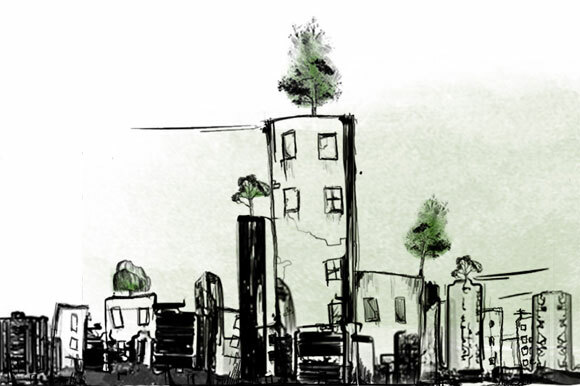 Therefore, given the circumstances, the most pragmatic solution will be to have a municipal decree that requires each building to grow its simple rooftop garden (by require we mean harshly implement, by force if necessary). Nothing fancy, just a couple of trees in a large fixed pot on each rooftop. 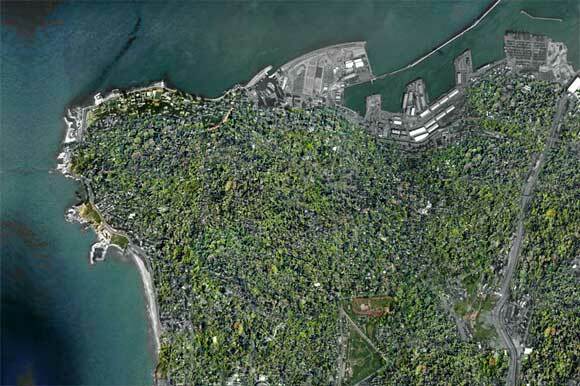 As incentives to the urban population, the municipality can offer tax reductions or benefits to the buildings that have a well maintained rooftop garden, and the gardening/plant companies could offer discounts and sponsorship, and later claim that they turned Beirut green (we can already predict their campaigns). There are many types of trees that can grow in the Beirut climate to 3-4 meters high in a simple 1 meter pot, such as the olive tree, the Schinum Molle, Morus Alba, Melia azaderachh, Punica Granatum, Etc... 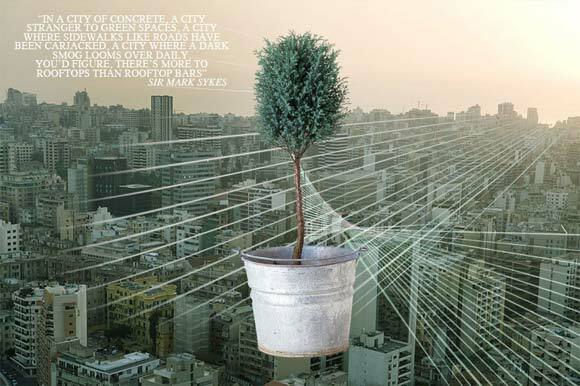 In order to prevent these trees from falling in case of high winds, they could be connected by three steel wires to the roof slab. The advantages of having this done on a large scale are many. Better oxygen levels and a healthy environment is the first that comes to mind, but also a layer of trees will provide shade and accordingly soften the increasingly hot and arid climate, which in turn would lead to a lower level of energy consumption. Moreover, semi public green spaces will be created for the respective residents of each building, increasing even further the quality of living within the city itself. On the other hand, depending on the choice of trees and plants, these gardens can evolve into a sort of urban farming, yielding a small but valuable agricultural output. 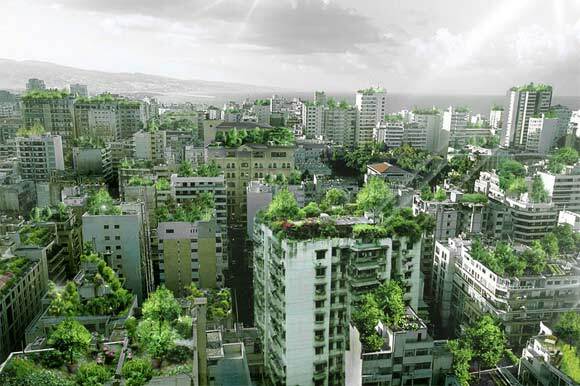 Ultimately, if the plan works out, Beirut could become a rooftop wonder forest, the whole city as a Landmark. StudioInvisible (pronounced in French), is a multidisciplinary design consultancy working in the fields of Urban Planning, Architecture, Interior & product Design, Visual Branding and Political Science, and aiming to provide the world with Avant-Garde Design interventions as well as in-depth Cultural, Social and Political guidance. Composed of Architect and Urban Designer Wassim Melki, Colonel Sir Mark Sykes and Francois Georges-Picot, the studio is an open platform for debate and thought-sharing. This is really the most amazing project so far. I am an Architect student and Im pretty sure that all the new generation are very excited to rebuilt the old green Lebanon and forget about political problem that are destroying our country. So excited to graduate and revive our country. This would be a great idea bringing all advantages mentioned as well as bringing more tourists ultimately more money. Very interesting. This is where we use the green roofing technology. 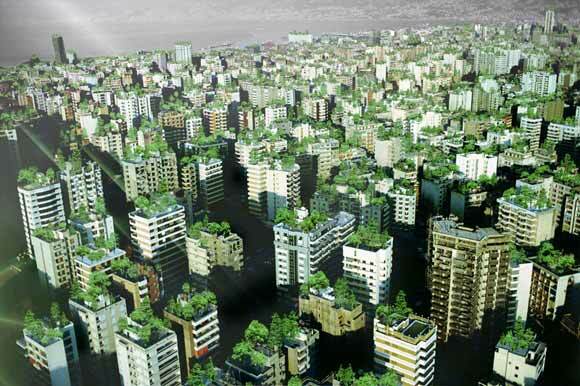 which will soon be available in lebanon, this could also be enhanced by green walls. KARAM, there is a special insulation wand waterprrofing system guaranteed for the green roof systems. Do not hesitate to contact for more info on green roofing. Wonderful idea! Making excellent use of essentially dead roof space. this is the most intelligent suggestion I have seen in a long time, although the trees (shrubs) will compete for space with solar heaters!